One Mom's Moxie: Dino Dan Giveaway!!! Welcome to a Dino "Dantastic" Giveaway! If you have a Nick Jr. fan, I'm sure you know who Dino Dan is. Dan Henderson is an ordinary 10-year-old boy who lives with his mom and little brother, Trek. He takes care of his puppy Doug, really likes pizza, and has a bit of a dinosaur obsession. Okay, maybe he's not entirely ordinary. Dan eats, sleeps, and breathes dinosaurs. His nickname is "Dino Dan," and he dreams of being a paleontologist one day. He's an expert in all things Triassic, Jurassic, and Cretaceous and has a funny way of seeing dinosaurs in any situation. Did you know that Dino Dan's Dinosaurs are paleontologist approved? Geoworld is an innovative new assortment of dinosaur toys designed by world renowned Italian paleontologist and geologist Dr. Stefano Piccini. The educational line contains museum quality replicas and recently launched a new line based on dinosaurs that have appeared on the popular Nick Jr. television series, Dino Dan! My Dino Dan two-pack came with a Stegosaurus and a Corythosaurus. They are scale dinosaurs and actually approved by a Paleontologist. No other dinosaur figures have been approved! The dinosaurs come with a cool fact sheet so your Dino Dan Fan can learn all about each dinosaur. There are secret codes on the back of the fact sheets to use on the Dino Dan website. 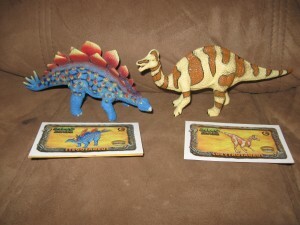 The dinosaurs are well-made, brightly colored and will be so much fun to collect. 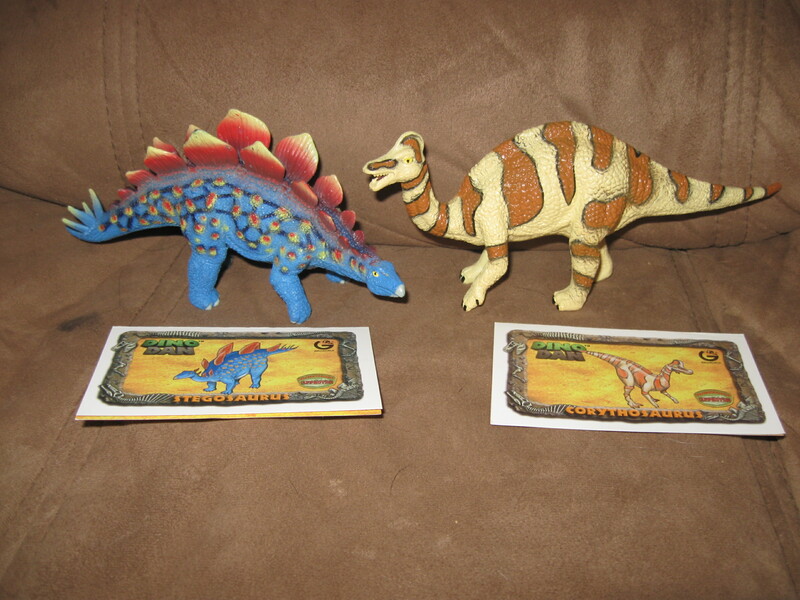 Any dinosaur-crazy kid will love them. I highly recommend Dino Dan for ages 4 and up. 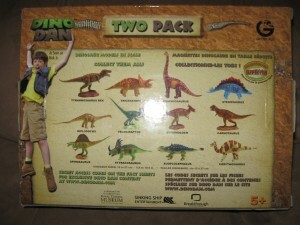 If you want to buy one now for your Dino Dan fan, it's available at Toys“R”Us and Toys“R”Us.com HERE. Special thanks to Geoworld for supplying a Dino Dan Two-Pack (ARV $14.99) to one lucky winner! Disclosure: I was not given any monetary compensation for this post. All opinions are mine and may differ from yours. 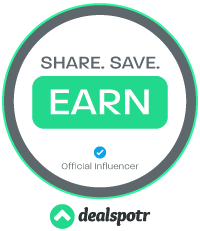 Bloggers involved in this giveaway are not responsible for prize shipment. This week his favorite is a Stegosaurus. This looks awesome! My kids would love it. My 6yo son would be a T-rex, hands down. My 9yo..it would depend on the day.